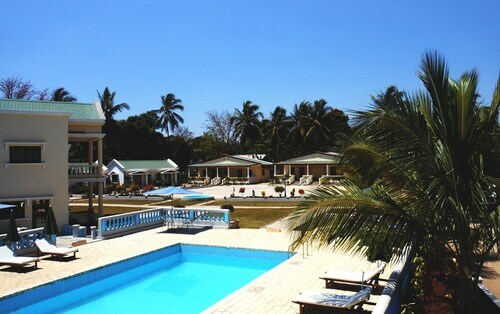 Situated in Mahajanga, this hotel is 2.2 mi (3.5 km) from Grand Pavois Beach and 2.4 mi (3.9 km) from Cirque Rouge. 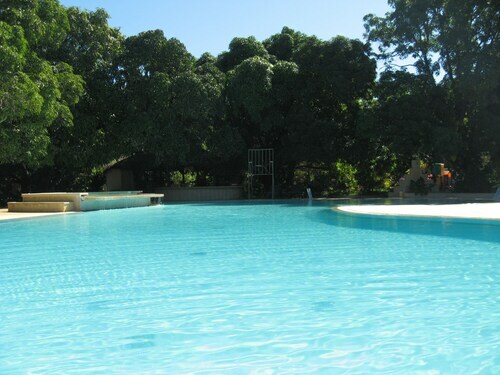 Antsanitia Beach and Jardin d'Amour are also within 9 mi (15 km). Thirty minutes from the city centre. It's such a shame that the receptionist is not welcoming and unpleasant. 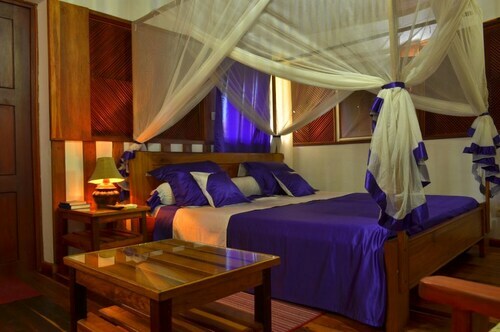 After the first evening, the receptionist got me to pay, not wanting to wait until the end of my stay. 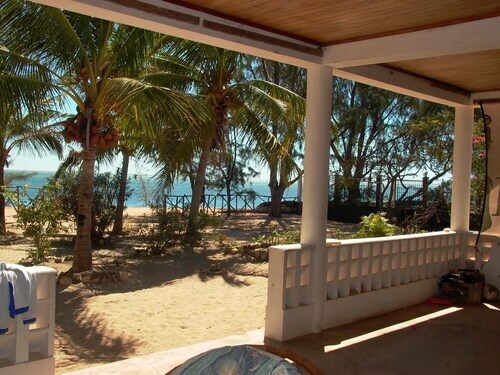 Situated in Mahajanga, this villa is 2.2 mi (3.5 km) from Grand Pavois Beach and 2.4 mi (3.9 km) from Cirque Rouge. 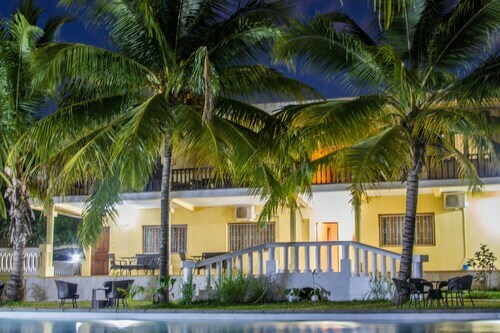 Antsanitia Beach and Jardin d'Amour are also within 9 mi (15 km). 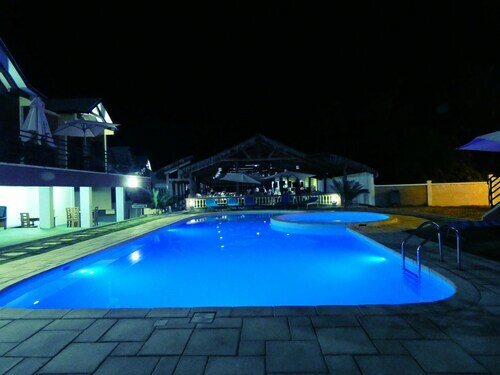 Located in the heart of Mahajanga, this hotel is within 6 mi (10 km) of Jardin d'Amour, Grand Pavois Beach, and Cirque Rouge. Antsanitia Beach is 8.7 mi (14.1 km) away. 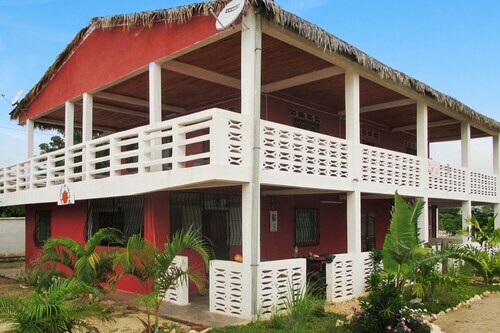 Situated near the beach, this apartment building is within 9 mi (15 km) of Grand Pavois Beach, Cirque Rouge, and Jardin d'Amour. Antsanitia Beach is 9.6 mi (15.5 km) away.